"It’s difficult not to hear at least a fleeting ghost of rave within 'Rave Tapes'." 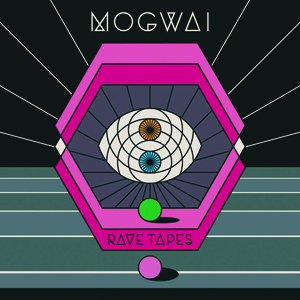 Although Mogwai album titles should never be taken too literally, it’s difficult not to hear at least a fleeting ghost of rave within this, their eighth full-length. Certainly, tempos are for the most part more upbeat and flourishes of arpeggiated synth colour several tracks. And while this might disappoint those in thrall to the organic beauty of the band’s recent stunning soundtrack to ‘Les Revenants’, ‘Rave Tapes’ is a diverse and supremely confident record; opener ‘Heard About You Last Night’ combines chiming electronic tones with heavily delayed guitar to gorgeous effect, while ‘Blues Hour’ is quite easily their most heartwrenchingly vocal-led offering since ‘Come On Die Young’.